Of the 23 games Furman has played in Clay Hendrix's two seasons as head football coach, only nine have been at home. In Hendrix's third season, Hendrix should get to spend much more time on the home sideline at Paladin Stadium - weather permitting of course. For the first time since 2014, Furman is scheduled to host six regular season games in the 2019 schedule that was released Monday by athletic director Mike Buddie. It's just the third time in the last 10 years that Furman has scheduled six home games. Not coincidentally, in each of those years the calendar has allowed FCS teams to schedule 12 games which Furman has done. The Paladins will open and close the regular season at home, against programs they've never faced before. Furman hosts Charleston Southern on Aug. 31 and NAIA member Point on Nov. 23. In between, there are home games against Mercer on Sept. 21, ETSU on Sept. 28, The Citadel on Oct. 19 and VMI on Nov. 9. "We ought to be able to have six home games at least occasionally," Hendrix said. "Putting together a schedule is a challenge. We've had trouble getting home-and-home (agreements)." 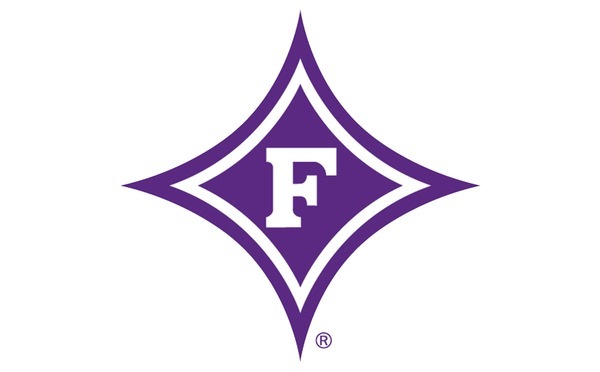 Hendrix said when the Southern Conference schedule was released, Furman was the odd team out for a bye on the final weekend of the regular season. Rather than having a second bye week - and potentially two bye weeks ahead of the FCS playoffs if the season goes really well, Hendrix wanted to get a sixth home game. With other FCS programs either already locked in for conference games or FBS opponents, and the Division II and III playoffs starting that weekend, Furman had to look at NAIA programs and West Point, Georgia-based Point answered the call. It's the first non-Div. I opponent on Furman's schedule since the Paladins opened the 2008 season against Mars Hill. No other SoCon program has gone more than the last four seasons without playing a non-Div. I opponent. Point is located in southwest Georgia along the Alabama state line. The Skyhawks are coached by former Furman standout Julius Dixon, which certainly didn't hurt getting them on the schedule. "Thank goodness for Point. ... I'm driving down I-85 one day and got to thinking about Julius. We were getting near to be two years in a row where we've lost a (scheduled) game), some of it by our own doing," Hendrix said. "I appreciate them working with us. Julius was a great player here and a captain on our 1988 (national championship) team. "I think if we would've had a seventh win - against anybody, maybe that would've been the difference in making the (FCS) playoffs. We had Div. I people that could play us that wouldn't play." The rest of Furman's 2019 schedule includes back-to-back FBS opponents at Virginia Tech on Sept. 7 and at Georgia State on Sept. 14. 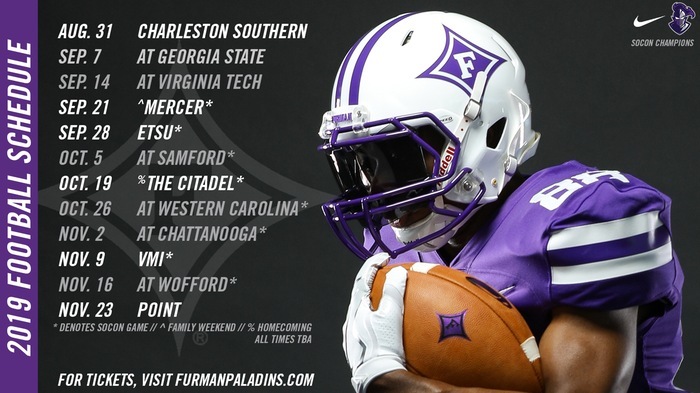 The Paladins travel to Samford on Oct. 5, Western Carolina on Oct. 26, Chattanooga on Nov. 2 and Wofford on Nov. 16. The Paladins were originally set to visit Kennesaw State this season, but both teams needed to change the originally scheduled date. That game has been pushed back to an undetermined future season. Furman's bye week falls right in the middle of the regular season on Oct. 12. Having two weeks to prepare for Citadel didn't go unnoticed by Hendrix. "I'm not a big fan of having two FBS games back-to-back. I don't care who they are. They've got 85 scholarships, but going to Atlanta (against Georgia State) will be good for us," Hendrix said. "Ideally that bye in the middle is where you'd like to have it. And I think any time you have a little more time to prepare for somebody that's a little different, which Citadel is, it helps." Hendrix and his staff will be available to answer questions about the schedule, new signees and ongoing spring practice at Furman's annual Signing Day Celebration on Wednesday. 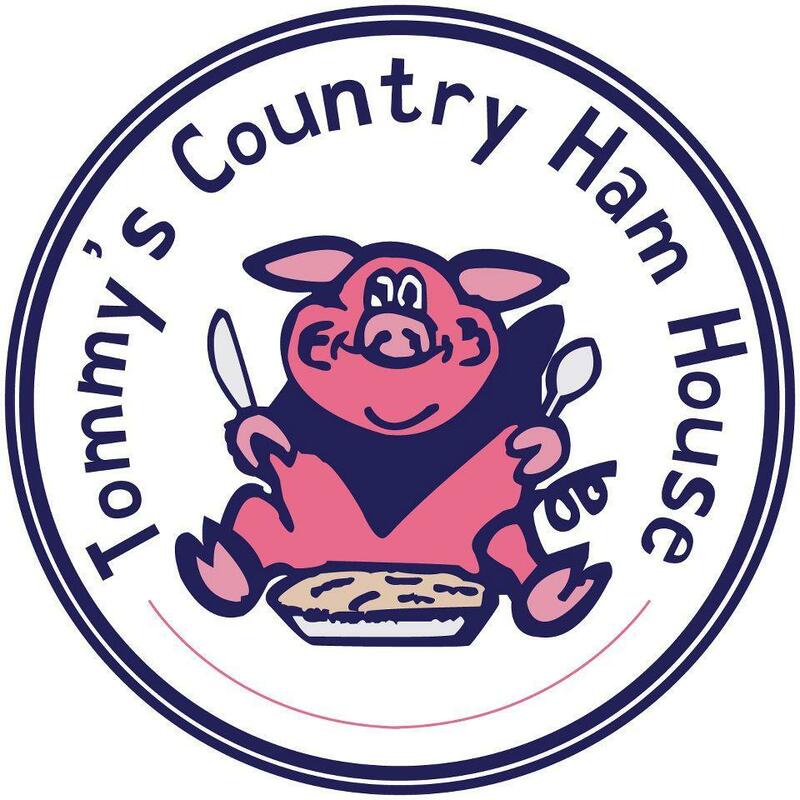 It will be held from noon-2 p.m. at American Roadside Burger in downtown Greenville.